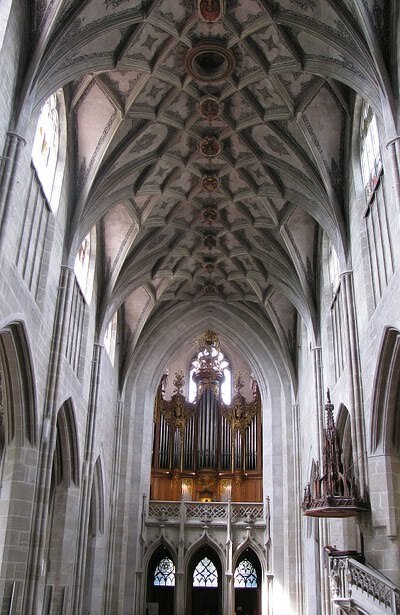 The cathedral of Bern was for many of my ancestors the center of religious and civic life. Louis de Büren's tomb is within the cathedral as are many visual refrenences to the de Büren family. When I was in Bern last, I arrived too late in the morning and was only able to spend a couple minutes in the cathedral before it was closed for the lunch hour. 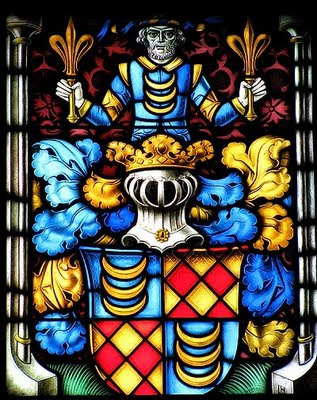 Thankfully I came across many beautiful photos from the Berner Münster on flickr by Christoph Hurni, which I have included below. 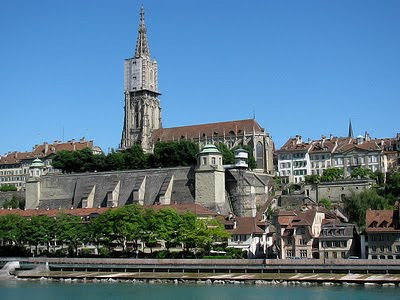 Berner Münster as seen from the Aare river. 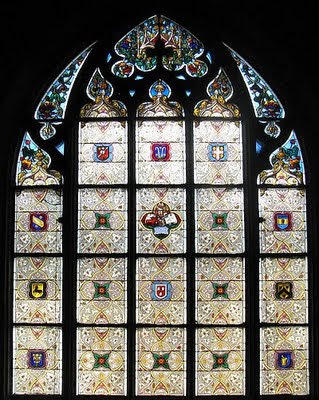 Window commemorating the marriage of Ernst de Büren (1858-1928) and Ida de Bondeli. 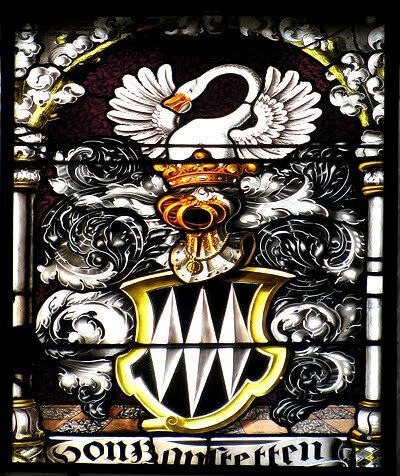 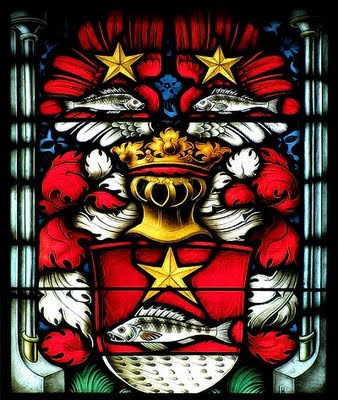 Large window with de Büren crest at the center. 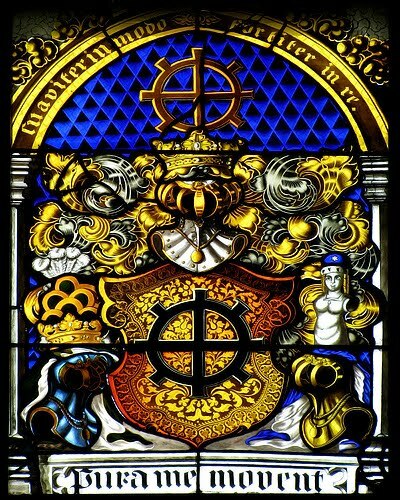 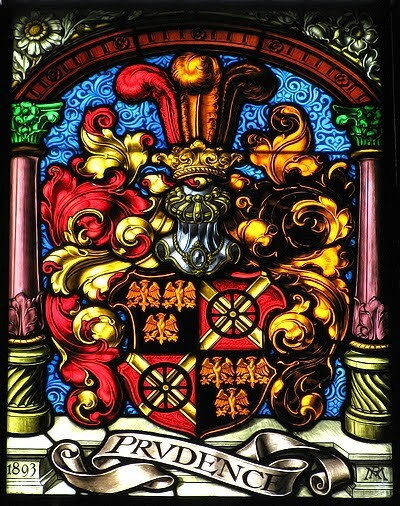 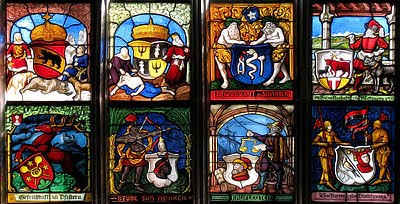 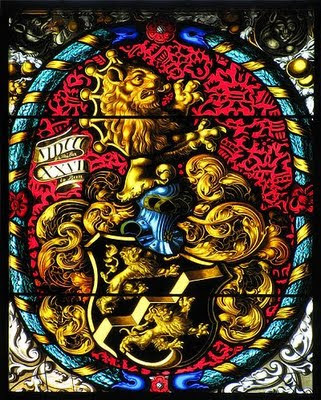 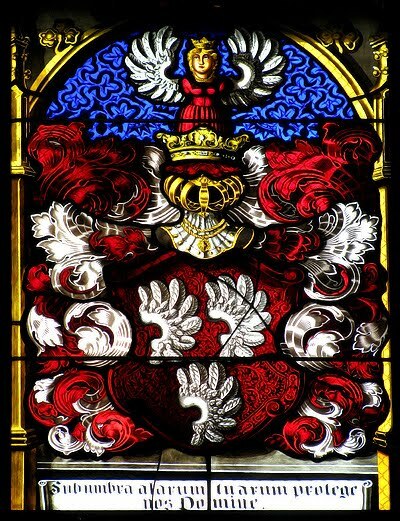 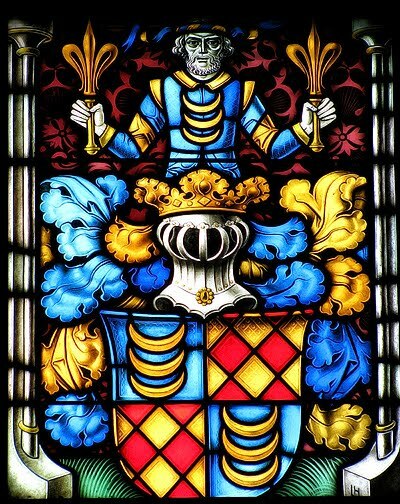 Window with various guild arms. 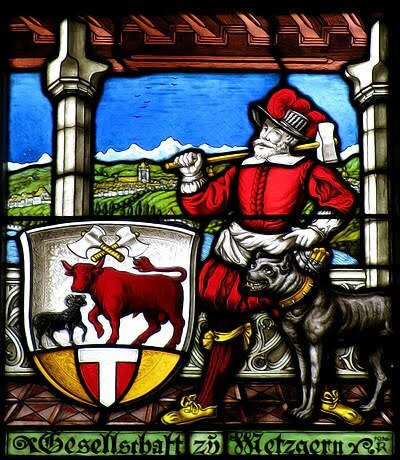 Detail of the Butcher's Guild arms, in which the de Büren family has participated for almost 700 years. 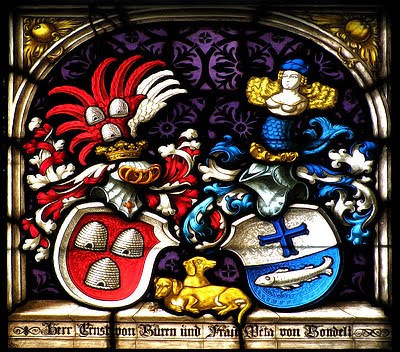 Arms of other Bernese families that allied themselves with the de Büren family.